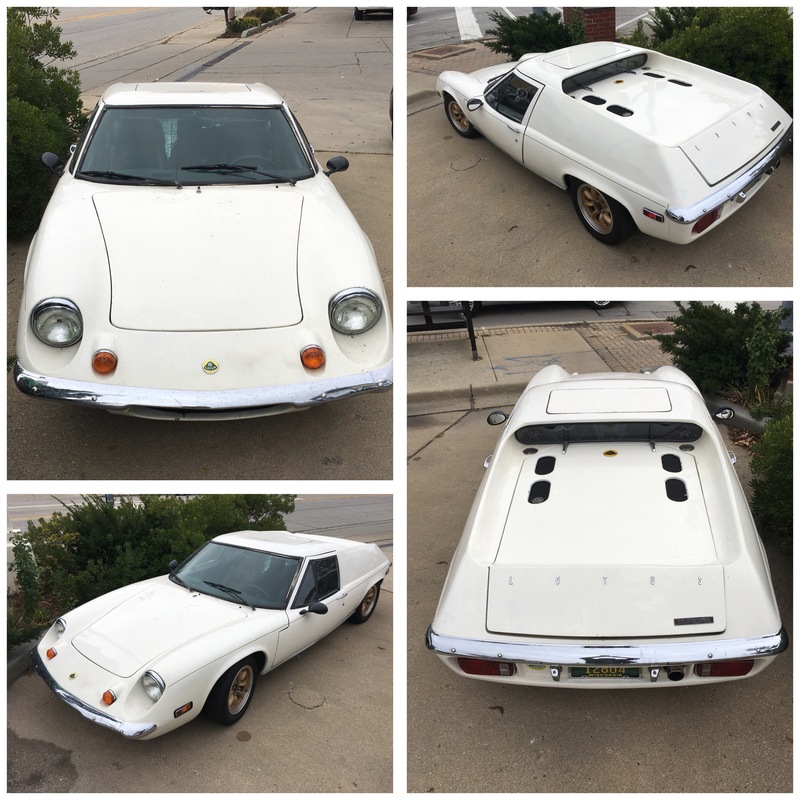 White Lotus – spied on my site visit drive yesterday in Wilmette. A small mid-engined sports car from the British racing car company Lotus. Very low profile with a 4 cylinder 1.5 l Renault engine offering nippy speed for a lightweight chassis.